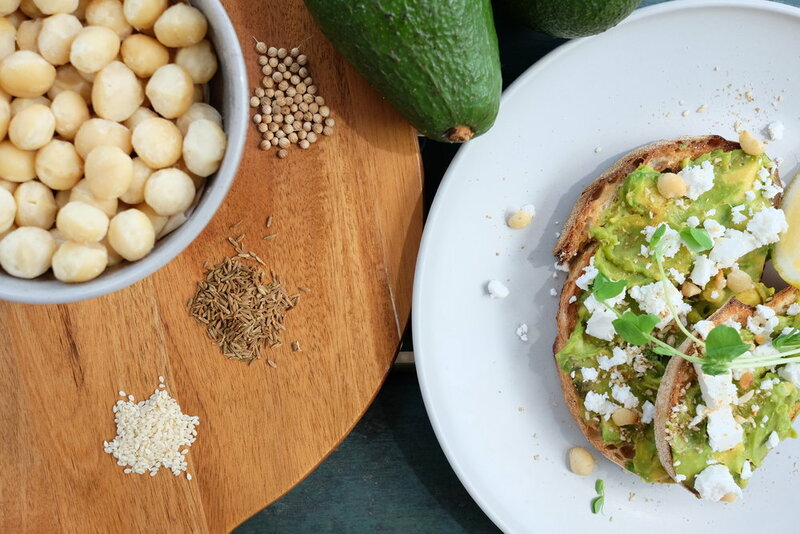 Avo smash is a classic Aussie favourite featuring beautiful Australian Avocados. Good healthy fats, carbs and protein, what more could you want for a healthy breakie, easy snack or even a healthy lunch? This recipe is super flavourful. Whack up a whole batch of smash for when you're eating on the go. Love this recipe? you can grab this avo smash up at the Australian Avocado pop up in Sydney's Surry Hills for a limited time only. Cut avocado in half and remove the stone. Scoop out avocado flesh and place in a medium bowl. Reserve avocado shells. Add chopped herbs and lime juice and season with salt and pepper. Use a fork to roughly smash. Spoon avocado mixture back into avocado shells. Use the back of the spoon to make a small indent in avocado mixture. Bring a large saucepan of water to a gentle simmer and add vinegar. Carefully break 1 egg into a cup, then slide egg into water (see tip). Repeat with remaining egg. Gently simmer for 1-2 minutes or until egg whites are set and yolks are still soft. Remove with a spoon and drain on paper towel. TIP: If you want you can use a spoon to create a whirlpool in the water and gently adds the eggs while the water is still spinning. This help the egg white bind together.